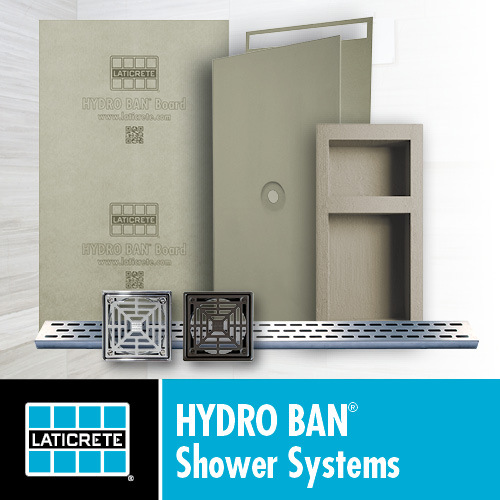 Anyone have any experience with corner shower drains. I’m not seeing a whole lot out there. The one below seems to pop up a lot but I don’t see any reviews on it. Can anyone recommend one? Last edited by jgleason; 11-21-2018 at 08:47 PM. No, haven’t seen that before. But I did look at their “instructions”. This drain is meant to be used in place of the top screw-in drain portion from a three-piece clamping drain. The instructions appear to have been written by someone who is not technically proficient in shower construction. They are not complete. And there’s some contradictory info. But I did see links to all sorts of other drain designs.. Some had reviews on them. Either the reviews reflected poorly in the product...or there were glowing concise reviews...as though they were written by a marketing company. ...and fun cutting in that first bottom row of tile all the way around. One of the options you can select is to add a drain flange and uncoupling. I've emailed them to see just exactly what that means. I'll report back once i hear anything. Seems like a cool drain to offer if the uncoupling flange means what i think it means. Definitely cool looking and makes the bed an easy single slope down to it. I’m not worried about the cuts but now wondering if it’ll look bad with that angle. Do you think the bed should have 3 angles down or a single from the opposite end? I’m not sure if I’m clear with that explanation. I got a response and it was just your standard issue clamping ring drain, for 30 dollars extra . I guess they got to make money to. Looks to me like an idea whose time has not come. A slope to a line drain is fine, but to a corner? Nah. As stated by someone earlier, the cuts at the walls would be murder on the eye in my estimation. But then again, I'm over the hill. Last time this came up, I was wondering if the slope along the walls leading to the corner drain needed to be the full 1/4" per foot. That would mean for a single plane floor, the slope on the diagonal would have to be about 3/8" per foot (sqrt(2) times as great). What were you thinking the uncoupling flange meant? I don’t think it’ll be too bad with larger tile. I’m seeing a lot of linear drains with a single slope. I was hoping it was referring to uncoupling as in kerdi fleece material like on the kerdi drains. Not a clamping ring drain you can get for 10 bucks at the local box store. Gotcha, if anyone has any ideas on the best way to make this work, my ears are open.